Posted on 08/05/2016 by Jeremy Bailey	in Around Town and tagged Atlanta Braves, baseball, Cleveland Indians, Daniel Murphy, Major League Baseball, Nationals, Nationals Park, San Francisco Giants, Star Wars Day, Stephen Strasburg, Teddy Roosevelt. 11 things to look forward to on the Nationals’ homestand. 1) July’s NL Player of the Month. 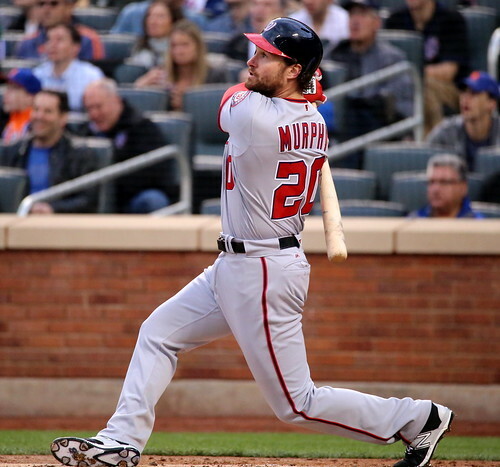 Yes, indeed, Daniel Murphy is honored again this month (he also won in May), hitting .346. He leads the league in batting average (.356) and hits (136). 2) Star Wars Day! On August 13th get a spiffy Nationals Star Wars t-shirt (only 20,000 of you). Plus Star Wars characters will roam around for photo ops. I predict: all Ewoks. 3) Giants. The Nats and Giants are battling hard for the #1 seed in the playoffs. The two teams split a 4-game series in SF from July 28-31. This is a 3-game set, so someone has to win. Never tell me the odds. 4) July’s NL Pitcher of the Month. Wow, Stephen Strasburg wins it. Two Nationals in the same month! He went 4-1 with a 2.08 ERA. And he did the Kessel run in 12 parsecs. 5) Coast Guard Day. On August 5th, the Nationals honor the Jedi Council….err… U.S. Coast Guard. 6) Free coffee. Peet’s will offer free coffee samples on August 7th outside the Center Field Gates. 7) $1 ice cream. August 10th by Good Humor. These are the treats you are looking for. 8) Two months left. The season is winding down, the playoff picture is shaping up. The Nationals only have four more homestands. If you were planning to catch a game and haven’t yet, your chances are dwindling. 9) Food Drive nets you free tickets. On August 6th and 7th, bring non-perishable items to benefit the Capital Area Food Bank. Donate four or more items and get two tickets to a game. 10) Fireworks. After the game on August 12th, stay for an explosion of post-game fireworks. Sponsored by the Rebellion. 11) Teddy! He keeps winning the President Races. Because he’s that good. It’s not rigged at all. He leads the standings over George (14-11). May the Teddy be with you.